The uncertain Australian property market means that land banking options and opprtunities are more relevant than ever. Land banking – what is it and why do it? Which entities are caught by the changes? Do the amendments capture all losses and outgoings? How is vacant land defined? Do the amendments apply to a property developer that holds land for the purposes of carrying on a business? Is an enterprise being carried on for GST purposes while land is banked? when is farm land vacant with no dominant use of primary production? David is a specialist tax law adviser as well as being a qualified Chartered Accountant and Registered Tax Agent. 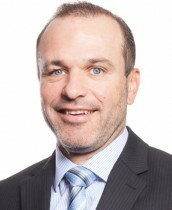 David acts for listed and private corporate groups and high net worth individuals in all areas of tax law including tax effective restructuring and reorganisation, taxation of financial arrangements, tax consolidations (including the preparation of tax sharing and tax funding agreements), capital gains tax, international tax issues, employee share schemes, GST, payroll tax and stamp duty issues. He has significant expertise advising on the complex rules dealing with the taxation of trusts and the interaction with trust law. David’s tax expertise spans a wide range of industries and sectors including property development, investment funds, professional services, technology and intellectual property. David has significant experience dealing with capital raising and capital management issues including restructuring for IPOs, rights issues, financial instruments and hybrid securities, share buybacks, and capital reductions. David has been involved in a wide range of M&A transactions acting for listed and unlisted groups as well as private equity transactions. David has been recommended as a Leading Tax Lawyer – Queensland in Doyles Guide 2016.